Second year Fine Art Printmaking students have been delivering a series of workshops with local secondary schools and local community groups. The Printmaking Project is part of the University’s Widening Participation programme which connects the University and students with the wider community with the aim of enhancing opportunities for young people. For these workshops printmaking students were under the guidance of alumni Zoe Prichard and lecturer Melissa Campbell to deliver workshops to GCSE school students in four partner secondary schools; Seahaven Academy, Seaford Head School, Holy Trinity Secondary School in Crawley and Brighton Aldridge Community Academy (BACA). 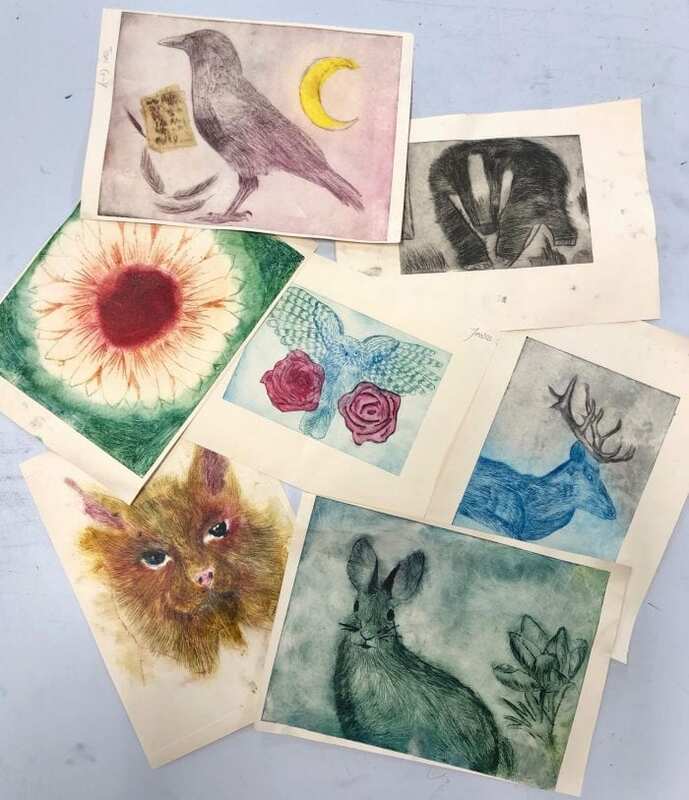 The project will culminate in a visit to the degree show in June where schools will be given a tour of the university and take part in another printmaking activity using the university’s printmaking facilities. In addition to working with schools the project has grown to include working with two local charity organisations that work with vulnerable young people in Brighton. On Saturday the team delivered a bespoke workshop for young people from the Young Carers Project, and on Thursday students will be running a workshop with young people from the Clock Tower Sanctuary, a local charity which supports young homeless people in Brighton. This entry was posted in Fine Art and tagged Brighton Aldridge Community Academy, Clock Tower Sanctuary, Holy Trinity Secondary School in Crawley, Seaford Head School, Seahaven Academy, Wider Participation, Young Carers Project, Zoe Prichard.